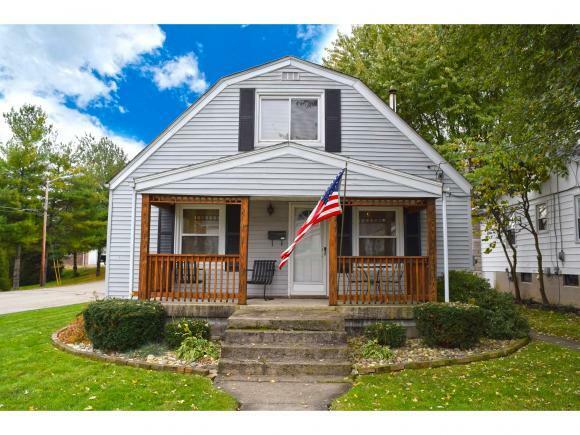 Lovely well maintained home is conveniently located, with easy access to downtown, schools, churches, library & pool. This spacious 3 BR, 2.5 BA home offers over 2000 square feet, sits on corner lot with nice deck for entertaining and is nicely landscaped. The Living Room features stylish Shiplap accent walls and adjoins cozy den with wood stove. 2 car oversized garage boasts electric & workshop, along with lean-to. Batesville, nicknamed "The Best Little City in America", is conveniently located in the triangle between Indianapolis IN, Cincinnati OH and Louisville KY, providing "small town living" within an hour's drive of the three major metropolitan areas. Batesville has its own exit off Interstate 74; busiest connector roads through town are St. Rts. 46, 129 and 229. Margaret Mary Community Hospitals is located in downtown Batesville, providing care for the residents of Ripley County. The hospital has added diagnostic equipment and a new oncology wing for cancer treatment, expected to be completed by 2005. Dearborn County Hospital in Lawrenceburg is nearby. Shoppers can find unusual gifts in Batesville's specialty shops, which feature everything from sewing, crafts to books, photography to furniture. The only shopping options not found in Batesville are department store chains. Outdoor enthusiasts enjoy the many opportunities in and around Batesville. Fishing is permitted in city reservoirs; the Indiana Department of Natural Resources stocks them just for this purpose. Bischoff Lake, a Batesville city reservoir, also offers a public landing ramp for small craft like small fishing and pontoon boats. Nearby Brookville Lake offers recreational boating and beaches for swimming. Community activities form the fiber of Batesville's social structure. Citizen groups such as Central House Players, Ripley County Harmonettes, Tree City Players and the Tri-County Harmonizers and children from all ages, partner with the Rural Alliance for the Arts to perform many unique and widely remembered performances. This listing courtesy of, Lohmiller Real Estate .